Preview: Manhunt 2 – The Wii steps into Mature-rated territory – take that, politician! Interview: Hironobu Skaguchi – Why does the creator of Final Fantasy hate the PS3? Seanbaby’s Rest of the Crap – Why is Seanbaby interested in playing with dolls? Isn’t that sort of, uh, creepy? 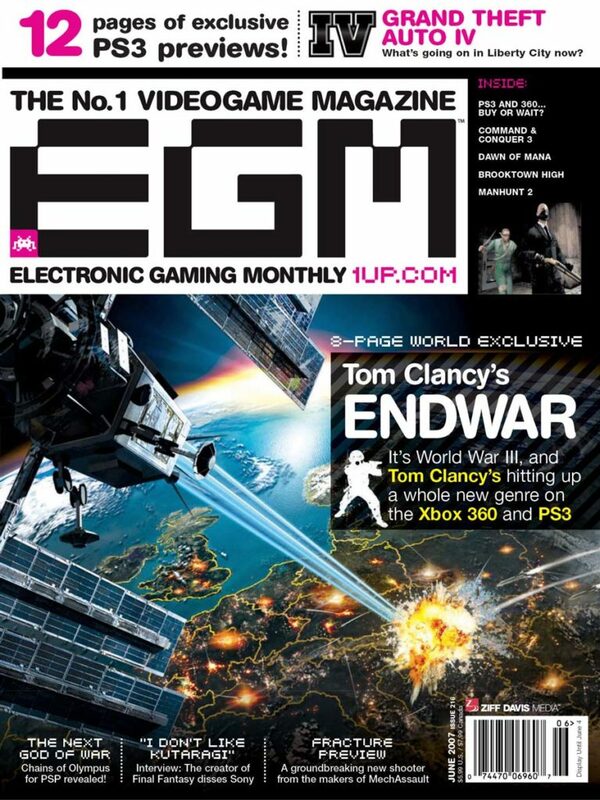 Crossword/Grudge Match – EGM’s final crossword puzzle? Say it ain’t so! Girls of Gaming was a spinoff of Play Magazine. 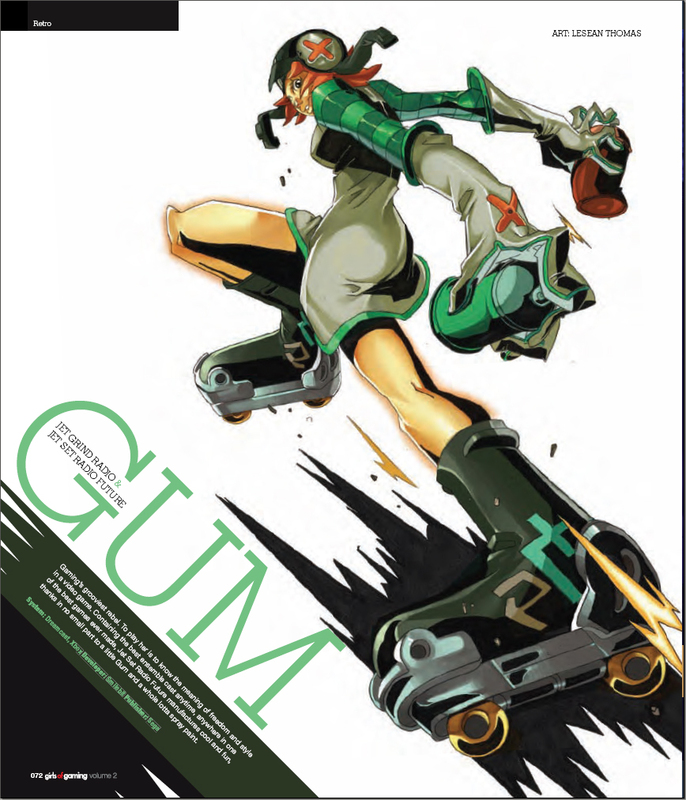 It featured pin-ups of fictitious girls, mostly from video games and anime. In this example, we have Kurenai from a game called “Red Ninja: End of Honor” that was released in 2005 for the Xbox and PlayStation 2. I wasn’t familiar with this game and after a brief internet search I can see why. It generally got terrible reviews and was the only game produced by the studio that produced it. Some interesting ideas but poorly executed. Nevertheless, the main character, Kurenai, earned a spot in Girls of Gaming.